At AZ Criminal Defense Group, we know that criminal issues can occur day or night, so we decided to be on call 24 hours a day, 7 days a week, 365 days a year. Now we can answer your questions any time you need us. Our highly experienced 24 hour criminal defense lawyers know that when you decide to contact us during off peak hours, you’re in real need of legal assistance. Being charged with a crime can easily be one of the most terrifying experiences one can have in their lifetime. If you’ve been charged with a crime in Arizona, you’re going to need the best and most reliable legal advice you can get, and you’re going to need it fast. If you’ve already been arrested for a crime in Tucson or Pima county, we ask that you call our 24 hour arrest and arraignment hot line. You’ll be immediately connected to one of our experienced 24 hour criminal defense lawyers, who are always ready and willing to help you with your legal matter. 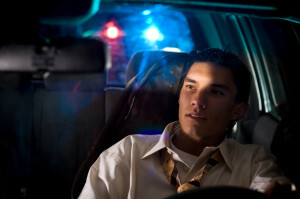 If you’re currently in custody – an arraignment must be held within 24 hours of your arrest. The arraignment refers to your first appearance in court, and is a process in which the judge will tell you about the criminal charges that are currently being brought against you. The judge then decides whether you will be released on bail, or whether you will be released on your own recognizance. Since arraignments tend to be held very soon after an arrest, it’s important for you to find an experienced criminal defense attorney as soon as possible so you can have the immediate legal representation you need. If you’ve been charged with a crime in Arizona, don’t waste any more time and contact our dedicated 24 hour criminal defense lawyers to discuss exactly what your legal options are going to be. Because we offer 24 hour, 7 day a week service to our clients, we’re able to offer easy accessibility as well as immediate communication, which is simply unmatched by other, larger law firms.